Healthy blueberry muffin have whole grains, little refined sugar, and only healthy fats. 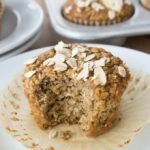 They are the perfect streusel muffin for a family breakfast or healthy kids snack. Are you a blueberry muffin lover? At the BrenDid homestead we all love blueberries and muffins! Unfortunately, most blueberry muffins recipes should be in the dessert section of the cookbook since they contain lots of sugar and oil. This healthy blueberry muffin recipe contains whole grains, very little refined sugar, and only healthy fats. 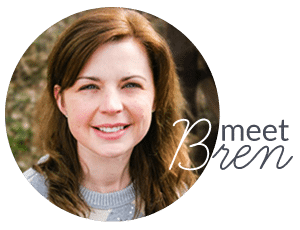 They also contain flax seed (which has a host of health benefits and has been called one of the healthiest foods on earth) and wheat germ (which packs in extra protein, vitamins, and minerals). 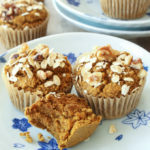 Don’t worry, these muffins are not just another healthy but nearly inedible food. They are irresistible, streusel topped delights! The blueberries, yogurt, and honey make them sweet while when wheat germ, oats and flax seed make the topping as crunchy and delicious as old-fashioned butter and brown sugar streusel. Make these muffins in a mini-muffin pan for toddlers or snacks. I love the way delicious recipes make healthy ingredients such as flax seed and wheat germ appealing to kids (and adults too). especially the sugar and fat-filled version served in coffee-houses. I limit that dessert to an occasional treat. Luckily, he also loves these healthy Blueberry Streusel Muffins. I am always happy to make and serve a nutritious recipe that my family loves! Given the choice of fat and sugar laden coffee cake and these muffins I know I am making the right choice. 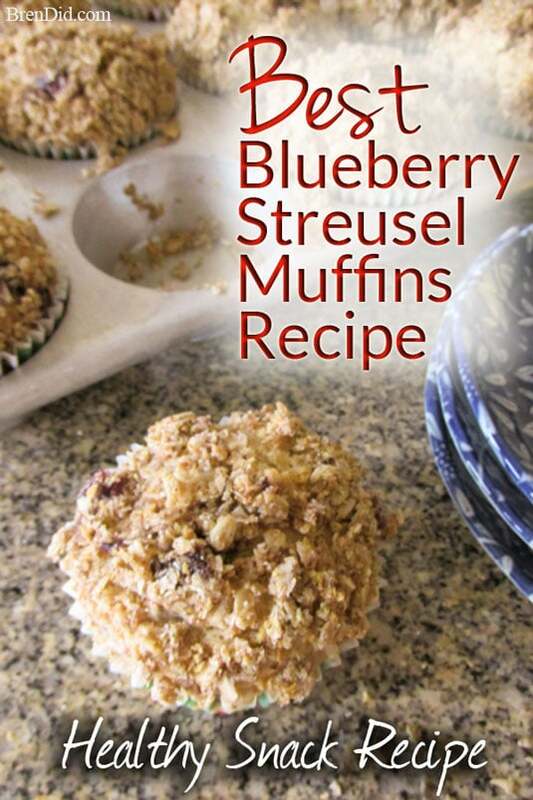 I hope you try my Best Blueberry Streusel Muffins Recipe and taste just how delicious healthy eating can be! Are you a blueberry muffin lover? 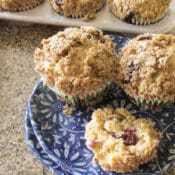 The Best Blueberry Streusel Muffin Recipe contains whole grains, little refined sugar, and healthy fats. The irresistible streusel topping is made with wheat germ, oats and flax seed instead of butter and sugar. 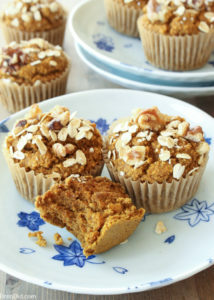 Enjoy your muffins without the guilt! 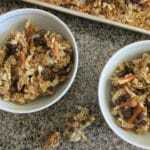 Prepare the streusel topping: Lightly pulse the oats in a food processor or blended until they are roughly chopped. This is optional, but makes the strudel more traditional in appearance. Combine all topping ingredients in small bowl and stir to combine. Prepare the blueberry muffin batter: In medium bowl combine all batter ingredients except blueberries. 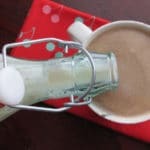 Blend well by hand or with an electric mixer. Fold in blueberries by hand. Spoon batter into 12 paper lined muffin cups they will be 2/3 full. 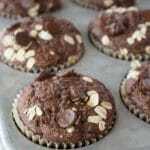 (You can spray each muffin paper lightly with cooking spray to prevent muffins from sticking). 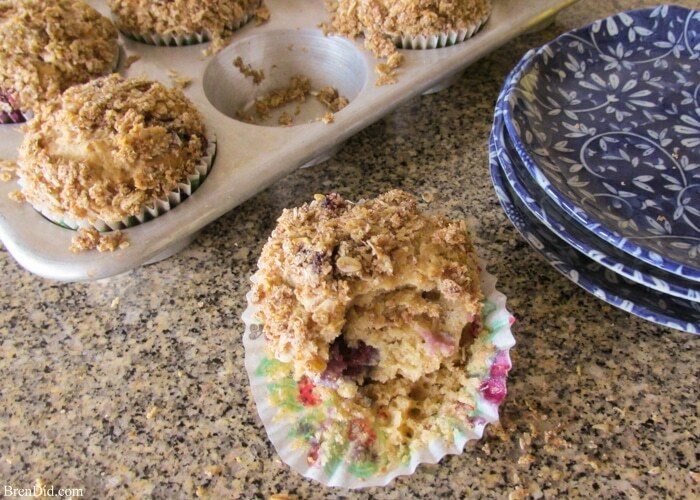 Sprinkle streusel topping evenly over muffins. Use the back of a spoon or your hand to press the streusel lightly into the batter. Bake for 15 minutes or until toothpick inserted in center of the muffins comes out clean. Store leftovers in a air tight container. 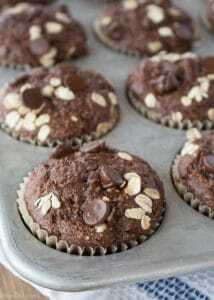 Love healthy muffins? 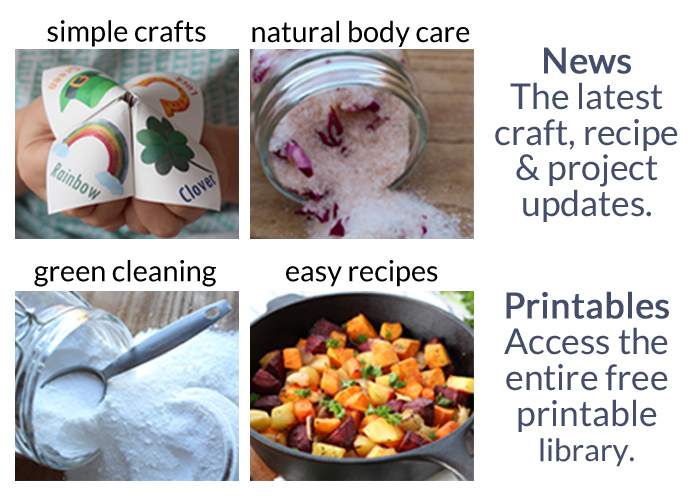 Subscribe to my newsletter below and never miss a recipe! Hi, these look amazing! I’d love to try them out. Can I sub applesauce for both the yogurt and coconut oil instead, and omit the coconut oil in the streusel? (I’m worried that that my subs will make the batter liquid-y, which will result in the muffins erupting instead of doming beautifully, because that has happened to me before.) Also, I’d like to sub regular sugar for the honey. How much do you think I should use? Sorry, Rosalynd, I’ve never made those substitutions so I am not sure how they would work. I do know the streusel cannot have applesauce substituted , it needs the oil to get crunchy. Good luck! 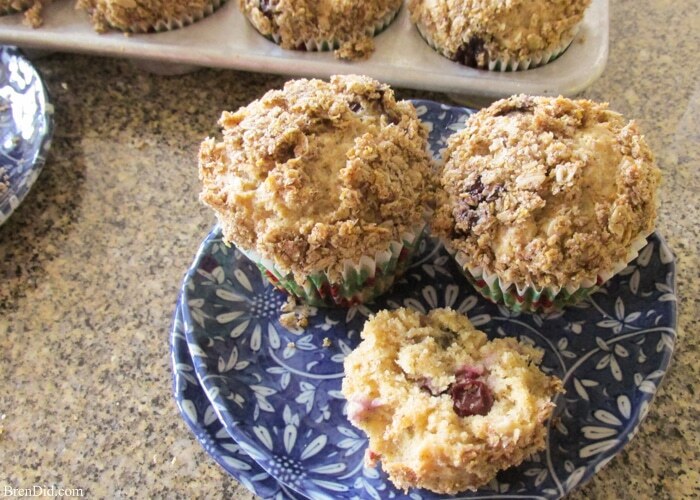 I would agree, those have to be the best blueberry streusel muffins – they look amazing!!! These looks amazing! I can’t wait for blueberries to come in to the stores near us so I can try them out. I suppose another berry would work too?